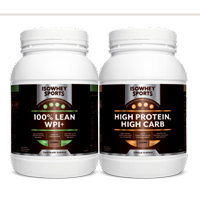 If you often experience intestinal upset or frequent “stitches”, eat meals at least 2 hours before training and limit fibre, protein and fat which are known to digest more slowly. 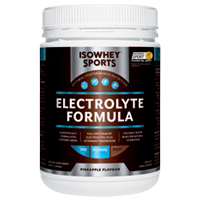 Consider whether a more hypotonic electrolyte solution may be suited to you. 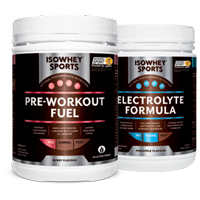 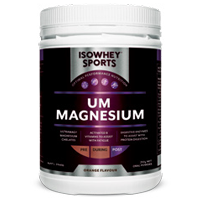 To turn IsoWhey Sports Electrolyte Formula into a hypotonic electrolyte solution, dilute the electrolyte solution more than recommended on the label (no less than 650mL of water), to assist faster uptake of fluid and reduce risk of discomfort.